Let us connect you to everything you need. 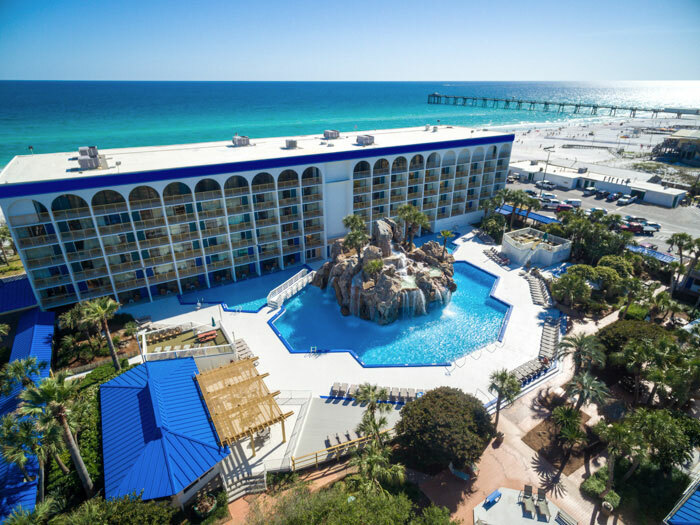 At our beachfront location on the Emerald Coast, the waves lap at your door. Enjoy on-site pools and play areas for the kids without leaving the hotel. One place, endless good times—all at your retreat on The Island. Begin your day at the Nineteen66 Southern Grill & Tap House with a healthy breakfast. Then keep up with your workout in our fitness center before you rent an umbrella and discover our white-sand beach. After sunset, hit our dive-in movie night, or enjoy cocktails by the pool. Indulge in whatever takes your fancy.